This week we are speaking to Andrew Eaton about how to get involved in Bitcoin. 25: Rustenburg (FARG) Breakfast Fly-In. 25: TMG Breakfast Fly in Springs Airfield. 25: EAA Chapter 322 Fly in to Kittyhawk. 17-19 March SA Navy Festival, Simonstown. In 2015 TAF was approached by the Belgian SONACA Group, an engineering company in aerospace based in Gosselies, Belgium that supplies major companies like Airbus, Bombardier, Dassault, Embraer and employs 2400 people worldwide. The two companies formed a Joint Venture, called Sonaca Aircraft, in which TAF holds 25%. The objective is to develop and sell a new plane called 'Sonaca 200' which will be a certified version of the Sling 2 model. 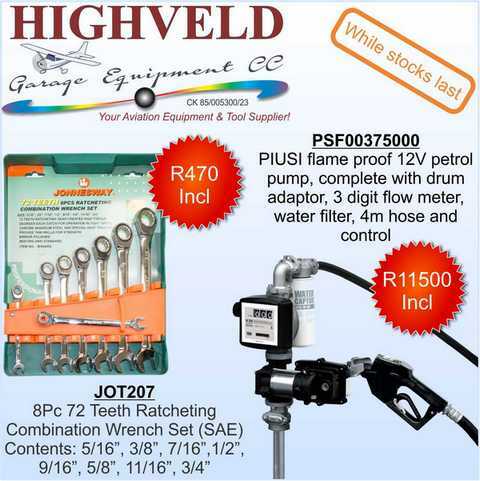 All the parts will be produced in South Africa and the plane will be assembled in Gosselies. The first aircraft (Test Aircraft 1), which was assembled on Sonaca's site in Belgium, has been entirely dedicated to ground tests "We tested the strength of the seats, seat belts (harnesses) and also the engine cradle and front leg by simulating rough or crosswind landings. At the end of February, IABG, a centre for aeronautical testing based in Germany and specialized in stress tests" will conduct the wing stress tests, explained Vincent Jaumotte, Flight Test Engineer for Sonaca Aircraft. A second plane (Test Aircraft 2) will be used for the flight tests which are scheduled in April. The new version of the SONACA 200 has been 80% modified. The shape of the aircraft, the wing profile and the choice of materials have been maintained. Concerning the modifications and enhancements made to the prototype, 80% of the initial structure has been redesigned in order to meet market requirements on the one hand, and EASA certification requirements on the other. "We have significantly altered the structural resistance in order to obtain a 750 kg maximum take-off mass with a 4.4G load factor, which is a 25% increase compared to the initial aircraft". The aircraft structures have been reinforced: "The main spars of the wing, the connection to the fuselage and the central spar have been redesigned and some aluminium alloys have been modified in order to take account of the aerodynamic loads, material fatigue as well as corrosion-related aspects. 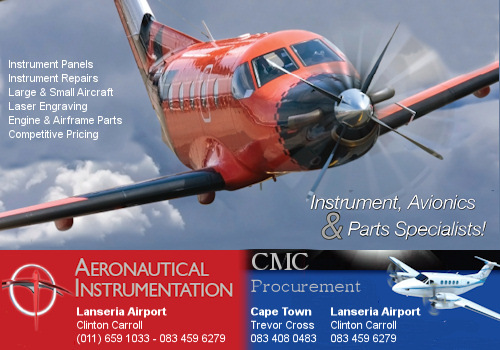 The changes also focus on strengthening the canopy arches, the landing gear, the vertical and horizontal empennage, including its connection to the fuselage, the propeller, the braking system as well as the instrumentation and fuel system" explained Carl Mengdehl, Sonaca Aircraft Engineering & Certification Manager. "By integrating all these changes, Sonaca Aircraft wishes to offer flight schools and flying clubs a modern and certified aircraft which is suitable for professional and intensive use", said Pierre Van Wetter, Sonaca Aircraft Pilot and Chief Commercial Officer. The Paramount Group, the Africa-based global defence company, is showcasing its latest innovative land, sea and air portfolio products at IDEX 2017 in Abu Dhabi in response to demand for defence alliances across the Middle East. With all the countries in the Gulf region looking to secure their borders in order to protect their citizens and economies during a period of global uncertainty, governments are investing more into defence spending than ever before. This is set against a time of continuing low oil prices, regional conflict and turmoil in global politics. The strategy and economics underpinning behind old alliances is being challenged to ensure relevance in this new environment. Paramount Group has increased its presence in the Middle East over the past years in order to service its clients and provide governments with affordable cutting-edge technology and defence solutions that is demanded by this new world order. The highlight of Paramount's portfolio at this year's event is the MWARI aircraft, which is a militarized version of Paramount Group's AHRLAC. 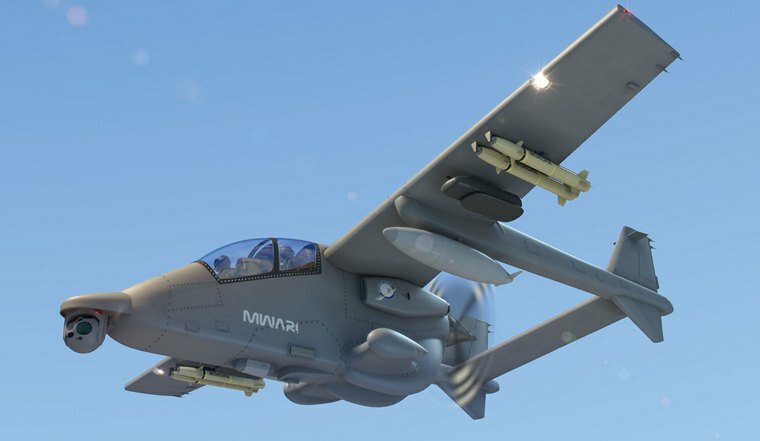 The MWARI packs the same surveillance and targeting capability normally associated with a much larger class of aircraft. The MWARI who's name translates as 'All Seeing Being' in the Shona dialect of Southern Africa, through its on-board sensors offers a 30,000 ft birds' eye view of the world and combines the technology and design elements of both a helicopter and reconnaissance aircraft. The aircraft's low acquisition cost and lower operating costs make a compelling argument for air forces wishing to increase capability without overspending their budgets. Ivor Ichikowitz, Founder and Executive Chairman of Paramount Group, said: "The demand for defence expenditure has drastically increased in the past year, and there is every indication that it will continue to grow. This comes at a time when there are huge social and economic challenges facing national budgets. With geo-political uncertainty set to continue, and countries needing to control and secure their borders, there has never been a more crucial time for governments to provide affordable security and stability to their countries so that their citizens can prosper and their economies can continue to diversify. A great moment in the life of the first Sling 4 in Europe (France Périgueux LFBX) was reached by JETLAGgroup, as the installation of the wings, tails & canopy were completed. JETLAGgroup will also have the pleasure of sharing their passion and knowledge with student Engineers of the school IPSA Toulouse (France) and their association IPSAJET as well as with their trainee of November "Fréderic" this weekend, as they will participate in the assembly of the canopy and wings on the Sling 4. Here the JETLAGgroup will instruct / guide the construction and help aviators wishing to start building a Sling dream. The time has come to completely rethink Aerobatics. A dedicated team partnered together to develop the first electric aerobatic aircraft capable of flying an advanced FAI aerobatic program. The team, consisting of main sponsor Hamilton International, Siemens, Renata Batteries, Silence Aircraft, Hangar 55, Insysta, Tonic and Cimark developed and built this new, eco-friendly aircraft together. The best components were selected, starting with the Silence Aircraft Twister, one of the most efficient aircrafts flying today, Siemens electric engine, a highly performant electric engine, knowledge and technology from Hamilton International - a Swatch Group company; and project management skills of Hangar 55 to assemble this innovative aircraft in record time. 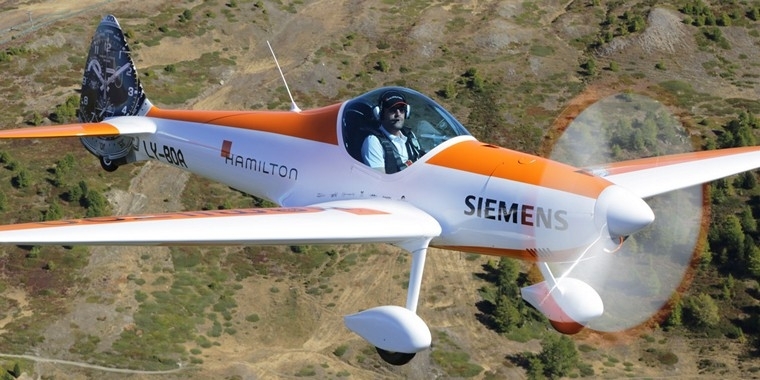 The Hamilton aEro Twister is a very light and efficient aircraft certified to fly aerobatics between +6 and -4 G. The fiberglass airframe is stiffened and strengthened by carbon elements, while the engine provides up to 100 KW power and a 45 minute-flight autonomy, including 15 minutes of aerobatics. 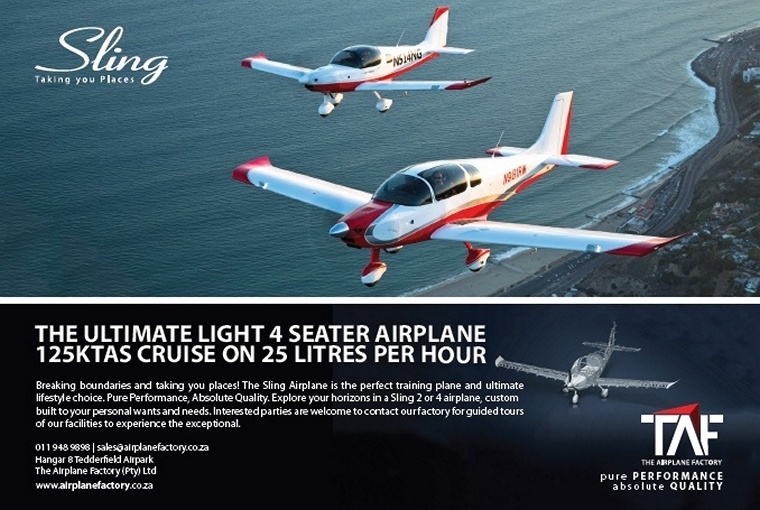 The weight/power ratio is 4.2kg per KW, a ratio quite similar to an Extra 200, providing the required performance needed for aerobatic training. 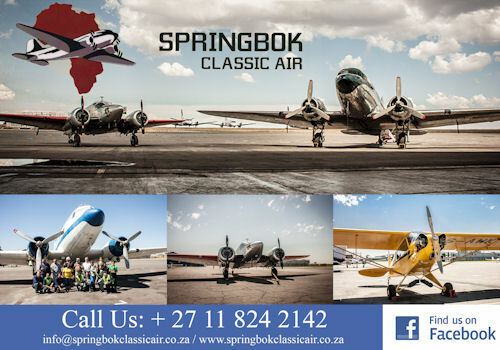 Safety is a main topic topic as the plane can be used for demonstrations but also for beginners to train and therefore needs to be easy to operate. The Siemens engine proved its ability already in the air and is very reliable. Each battery cell has its own processor to control and monitor the situation: in case of overheating, up to 10% of cells can be switched off independently, allowing the pilot to fly back to the airport safely. Another key aspect is sustainability and ecology. The plane defines a new way of flying by being CO2 neutral and emitting a very low noise profile. Together with other developments, this project supports the future of aviation through environmental-friendly initiatives and a long term vision. 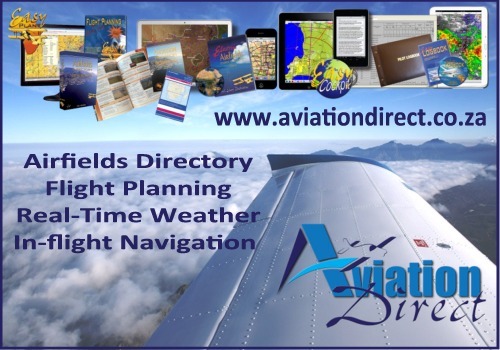 Finally, cost is also lower - about 2/5th of a regular aerobatic plane - and is aimed at attracting not only experienced aerobatic pilots but also young people who cannot currently afford to start the immense adventure of flying a plane upside down. The Indian Air Force (IAF) has received the last of the Mil Mi-17V-5 'Hip' medium-lift platforms it ordered from Russian Helicopters, ahead of the expected signing soon of a contract for more, it was announced on 2 February. 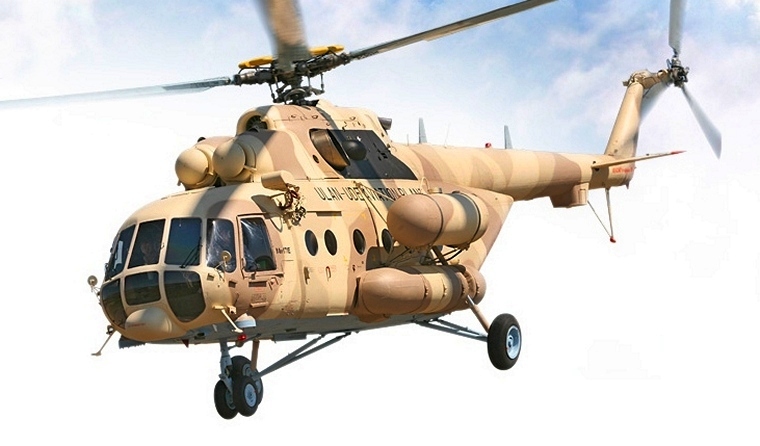 Delivery of this final batch of the 151 Mi-17V-5 helicopters for India marks the end of a procurement programme launched in 2008 (including 12 ordered for India's paramilitary forces). In July 2015, the IAF announced its intention to procure 48 additional platforms, but it has yet to sign a contract. Produced by JSC Kazan Helicopters through Rosoboronexport, the Mi-17V-5s fielded by India are among the most advanced variants of the 'Hip' helicopter family. They are equipped with more powerful engines for 'hot and high' conditions (the IAF has employed them to sustain Indian Army formations deployed along the 6.4 km-high Siachen glacier in the Himalayas) and the KNEI-8 avionics suite that replaces the previous analogue cockpit with modern digital instrumentation. India has also issued a request for information for its fleet to be fitted with an advanced electronic warfare (EW) suite that comprises radar warning receivers (RWRs), missile approach warning systems (MAWS), and countermeasure dispensing systems (CMDS). A growing mission for the IAF is humanitarian and disaster relief (HADR), and the service is looking to procure the additional helicopters specifically to give it more capacity in this role. In 2013 one of the Mi-17V-5 helicopters was lost while participating in rescue operations in the flood-affected north of India, killing five. While most of the delivered Mi-17V-5 helicopters have been weaponised, it is not clear if the additional 48 will be. Bell Helicopter, a Textron Inc. (NYSE: TXT) company, announced the completion of the first fully customized aircraft from its new European state-of-the-art Customization and Delivery Centre located in Prague. The customer, Air Transport Europe of Slovakia, recently accepted three newly customized Bell 429 EMS configured aircraft at Bell Helicopter's delivery centre in Prague. The Bell Helicopter facility in Prague is the official regional customization, delivery and aftermarket service centre in Europe - complemented by Bell Helicopter's extensive support and service network located throughout the region. Bell Helicopter delivers three newly customized Bell 429 HEMS configured aircraft at Bell Helicopter Prague's delivery centre. Over the past several years, Bell Helicopter's fleet across Europe has grown significantly - particularly in the parapublic and emergency medical service segments. There has been increased demand for the Bell 429, Bell 407GXP and Bell 412EPI throughout the region. Most recently, Bell Helicopter achieved a sale of a Bell 429 for emergency medical services operations. In addition, the first Bell 407GXP was announced for a private Belgium customer and the first Bell 412EPI was announced in Western Europe. With a unique design concept accounting for minimum space area utilization, the paint facility in Prague is state-of-the-art, including technologies to enable exceptional quality. The size of the new paint booth has been designed to enable paint operations for all Bell Helicopter commercial products ranging from legacy products to those currently in development. And by integrating the latest requirements for safety of operations, ease of maintenance, energy sustainability, environmental and ergonomics - Bell Helicopter has been able to vastly improve the paint process. Japan, Tokyo: A Thai AirAsia Airbus A330-300 taxiing for departure from Tokyo Narita's runway 34R for a flight to Bangkok were instructed to hold short of runway 34R for a China Airlines Airbus A330-300 on a flight from Taipei (Taiwan) to Tokyo Narita (Japan) that was on final approach to runway 34R. The AirAsia crew acknowledged the instruction but crossed the hold short line prompting air traffic control to instruct China Airlines crew to go around. They climbed out and positioned for another approach while the AirAsia flight departed. USA, Boston: The Pilots of a GoJet plane bound for North Carolina retuned to Boston after they declared that they have smoke in the cockpit. The flight with 76 passengers and 4 crew members aboard landed safely in Boston. USA, North Carolina: An American Airlines CRJ-701, returned to land at Charlotte-Douglas International Airport, North Carolina, USA, after reportedly striking a deer on take-off. The aircraft had taken off from runway 36C when the flight crew reported hearing a loud bang. The Tower controller stated that he heard a deer was involved. The flight crew decided to return and circled the airport before landing back. A video from the approach and landing on runway 36R show a vapour trail behind the aircraft, originating from the right hand wing. The aircraft stopped after vacating the runway. Fire fighters applied foam over and below the right hand wing. The passengers then deplaned through the left hand main passenger door. France, Strasbourg: A Hop! Canadair CRJ-1000 on a flight from Toulouse to Strasbourg (France) with 46 passengers, was about to reach the top of descent when the first officer started to feel unwell. Just after the aircraft left cruise level 320 the first officer became unconscious. The captain declared emergency, cabin crew administered oxygen to the first officer who regained consciousness after about 5 minutes. The aircraft continued for a safe landing in Strasbourg about 25 minutes. The first officer was taken to a hospital. 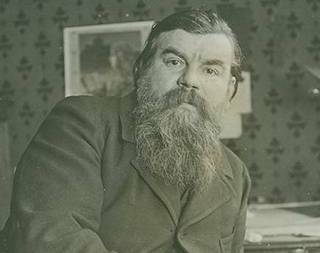 Léon Levavasseur (8 January 1863 - 26 February 1922) was a French powerplant engineer, aircraft designer and inventor. Levavasseur was born in Le Mesnil-au-Val, Cherbourg, France. Initially studying fine arts, Levavasseur switched to studying engineering, with a particular interest in arc lamps and petrol engines. His innovations included the V8 engine, direct fuel injection, and evaporative engine cooling. Primarily associated with the Antoinette Company, he continued to experiment with aircraft design after the company went bankrupt. 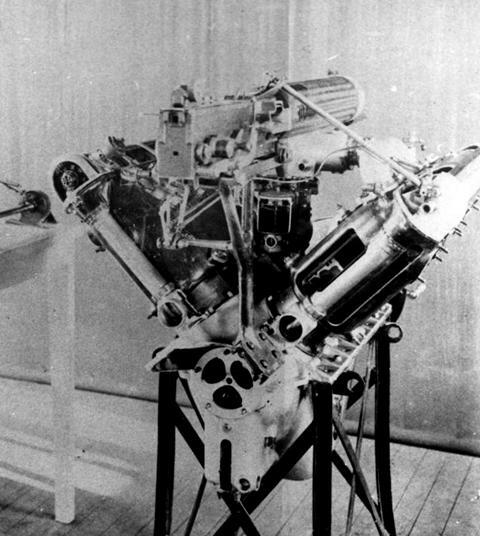 In the summer of 1902, Levavasseur suggested to industrialist Jules Gastambide that powerful, lightweight engines would be necessary for powered flight, and proposed the manufacture of these engines. He also proposed that the engines be named after Gastambide's daughter, Antoinette. Gastambide financed the venture. Levavasseur patented the V8 engine configuration that year. The Antoinette company was incorporated in 1906, with Gastambide as president and Levavasseur as technical director. The vice-president was aviation pioneer Louis Blériot. The company's primary business was the sale of engines to aircraft builders. Levavasseur's Antoinette engines often included advanced features, including direct fuel injection and evaporative engine cooling. 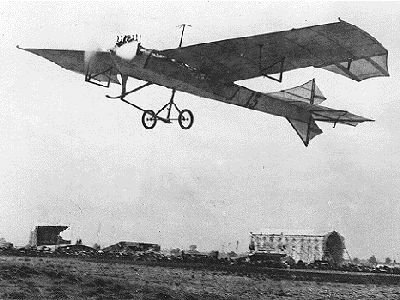 Levavasseur experimented with the construction of aircraft and in 1906 the Antoinette Company was contracted to build an aircraft for Captain Ferdinand Ferber. In the July of 1909, Antoinette pilot Hubert Latham made two attempts to cross the English Channel both of which were unsuccessful due to engine failure while over the Channel. Latham's efforts to promote Levavasseur's Antoinette products were more successful at the Grande Semaine d'Aviation de la Champagne on 22-29 August 1909 at Reims, France, where he won the altitude prize, finished second in the speed competition, took third place in the Gordon Bennett Cup for aeroplanes, and, in the Grand Prix event, trying to fly the longest distance around the circuit in a single uninterrupted flight, he won second prize in one aircraft (an Antoinette IV) and fifth prize in an Antoinette VII.